Unless you’ve been living under a rock, you’re probably well versed in what happened with hoverboards in 2015. Just in case though, let me just summarize. The first we really heard of hoverboards (or self balancing scooters) was late 2014 and early 2015. Celebrities and the media went crazy for this new fun method of personal transportation, and by the end of 2015 everyone wanted one. They quickly became THE must have toy (for both adults and kids alike) for Christmas 2015 and millions were sold worldwide. These hoverboards were mass produced in multiple factories in China and Hong Kong with little to no regulation. They were made using inferior quality materials, and cheap generic lithium batteries which were a major fire risk. After a number of reports of these scooters exploding or going on fire, they were quickly banned from sale on all major retail websites such as Amazon, eBay, Walmart etc. In early 2016 it look like the hoverboard market was all but dead. Many companies recalled their hoverboards on advice from the CPSC (Consumer Product Safety Commission). Buyers were advised to either seek a refund (which for alot of people was impossible if they bought a generic model, as sellers quickly disappeared) or just dispose of the hoverboard for safety. But this wasn’t the end. Unfortunately it was bad news for those who bought the earliest models. However, UL (Underwriter Laboratories) created a new standard for hoverboards in 2016. The goal of UL is to ensure safety of consumer products and if hoverboards had this sooner, a lot of fire damage and personal injuries could have been prevented. A series of 150+ rigorous tests need to be passed to gain this cerification called UL 2272. These tests include an overcharge test, drop test, water exposure test, crash test, shock test, mold stress test, imbalanced charging test, short circuit test, over discharge test, motor overload test and much more. New hoverboards that are UL 2272 certifed ARE fire safe – as safe as any other product you might have in your home that uses a lithium battery e.g. your laptop or smartphone. They are no longer a fire hazard. Of course you should still follow manufacturer’s safety guidelines for optimum protection. Just because hoverboards are fire safe, doesn’t mean you can’t have an accident while riding. Younger kids especially should wear personal protective gear such as helmets and elbow/knee pads. Legitimate manufacturers committed to improving their design processes, quality and safety, and many have already passed the test and gained the UL 2272 certification. Swagtron was the first, quickly followed by the Segway Minipro, Razor Hovertrax, Jetson, Halo Rover, Gotrax, Hoverheart, Megawheels, and many more. The testing they go through is rigorous to ensure absolutely safety of the product. Amazon ONLY allows the sale of UL 2272 certified boards that have been fully tested and meet the recommended safety standards. Many other retailers are now starting to follow suit and require this certification for hoverboards sold on their site, which is good news for the customer. Many major retailers who banned the sale of hoverboards, now sell hoverboards that are UL 2272 certified. For example, to sell on Amazon in 2019, sellers must prove they have passed the tests and gained the certification before they are allowed to list a hoverboard brand. So if you buy a UL certified self balancing scooter today it will NOT be a fire risk like those that went before. Only buy a hoverboard that is UL 2272 certified. There are still plenty for sale online that DON’T yet have this certification and those should be avoided. Buy from a retailer that requires UL certification as standard – Amazon is one such retailer. All hoverboards sold on Amazon will have this certification. Buying from a large and trusted ecommerce store also means that you’ll have a good return policy and more likely to have a proper warranty. Plus you can check out the user reviews before you buy! When you receive your hoverboard check for the UL Mark on the packaging and look for the UL holographic certification label (this should usually be on the bottom of your product). Don’t overcharge it. Although new hoverboards have included technology to prevent overcharging, it is still advisable to follow recommended charging times (read the manufacturer’s manual). Only use the charger that comes with the hoverboard. 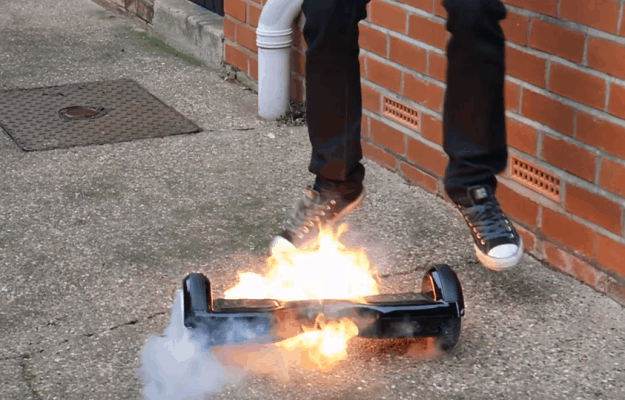 Keep your hoverboard away from flammable items while charging. 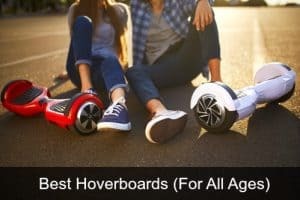 Although many manufacturer’s say that hoverboards are suitable from the age of 8+, there is usually a minimum weight that you need to adhere to if you want your child to be able to control the hoverboard safely – check this out before buying for a younger child. Some scooters are better suited to kids of 12+. Beware of knockoffs – so you’ve found a good brand product with UL certification but it costs a lot less than on Amazon or on the official website? It might not be the real thing. Always check seller feedback and customer reviews, and cross check prices on different sites before you buy. 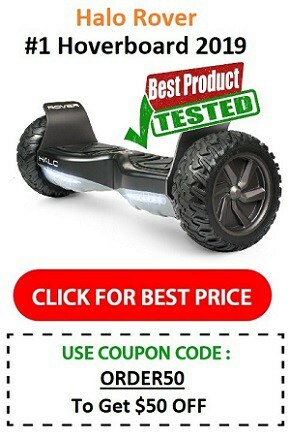 Hoverboard manufacturers have learned from their mistakes with earlier products and have for the most part improved the scooter on almost every level. UL 2272 certification – don’t buy a hoverboard without it. If you do, make sure that at the very least the battery is UL approved. Hoverboards are now made with a harder more durable outer body shell. They were very susceptible to scratches, and easily damaged in the past. Some hoverboards now come with different modes – the most popular being the learning mode (a slower, easier to control mode that can be switched up to normal mode and full speed once you’ve found your balance). This reduces risk of falls and accidents when learning how to use the scooter. Most now have larger, non slip footpads to prevent accidents. New hoverboards only include UL certified branded lithium batteries. There are now brands like Epikgo, Halo Rover, Segway Minipro and more that are all terrain should you want to use your self balancing scooter somewhere other than on a sidewalk. They have bigger wheels and stronger design to withstand travelling over rougher ground such as sand, gravel, grass etc. 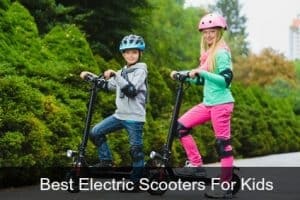 As you can see on BestElectricRides.com we love our rideables, particularly hoverboard/self balancing scooters. We only recommend brands that we trust, and that we believe are absolutely safe. 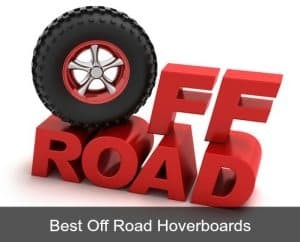 Visit the following link to see our top choices or check out our list of the best hoverboards in 2019.